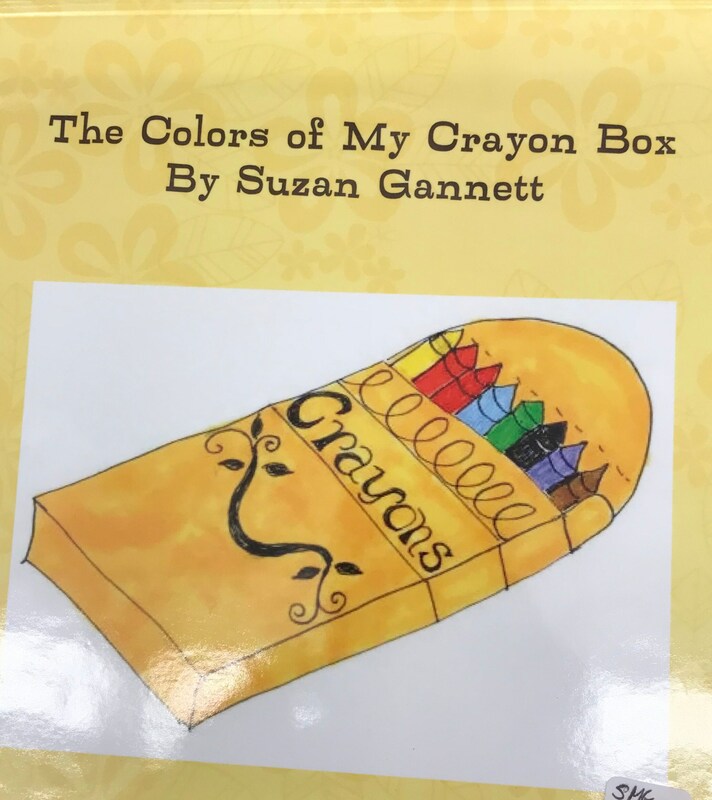 The Colors of My Crayon Box was written and illustrated by Suzan Gannett. Each of the eight colors is accompanied by 4 Zen Doodle Drawings of things of that color and a sentence or two that richly described it such as.....Brown like my cuccly puppy who squirms in my arms. Brown like okey, gooey chocolate cake that makes my mouth water.” Great for teaching similes. Appropriate for children ages 2-7. Cost of the book is $20.00.